I have only vague recollections of the anthrax attacks that took place in 2001 and little knowledge of the subsequent FBI investigation, but I didn’t have to look far to catch up. It isn’t essential to know the details before reading Case Closed as the author gives a brief introduction explaining his reasons for writing the novel, although reading up on the “facts” elsewhere may lead to a greater understanding. The FBI investigation into the anthrax attacks was long winded and controversial. Case Closed is a fictional scenario where some officials are angry enough at the outcome of the investigation to do something about out it. Due to Lew Weinstein’s style (in this particular book) and attention to detail, Case Closed has a very authentic feel. It doesn’t read like a novel, more like an account of events which despite being fictional sound credible. The word that most comes to mind after finishing Case Closed is “fascinating”. If presented to a reader unaware of its fictional status, it could easily be mistaken for a factual account of events. That what makes it stand out. A well thought out, well written and intriguing read for those seeking something a little different. 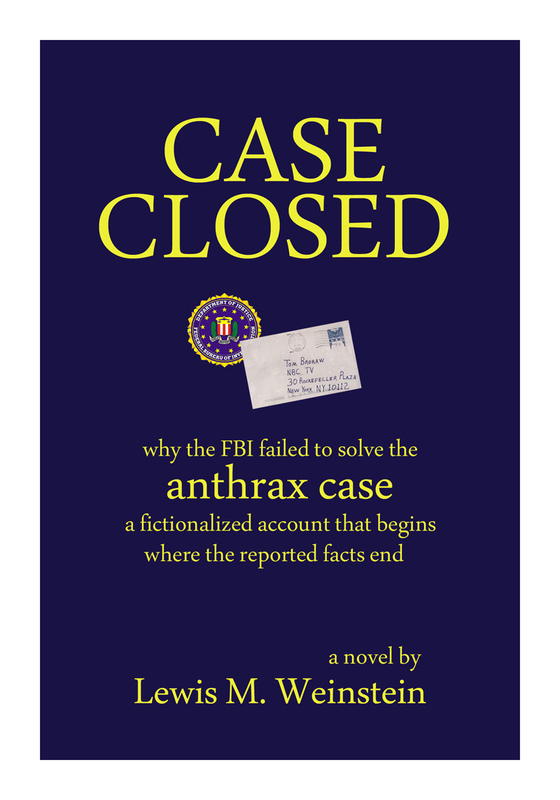 The FBI has never told the true story of the anthrax attacks or its own investigation. The FBI assertion that Dr. Bruce Ivins was the sole perpetrator does not stand up. Every element of the FBI case has been thoroughly demolished on my CASE CLOSED blog. This entry was posted on December 15, 2013 at 6:25 am	and is filed under * CASE CLOSED. You can follow any responses to this entry through the RSS 2.0 feed. You can skip to the end and leave a response. Pinging is currently not allowed.